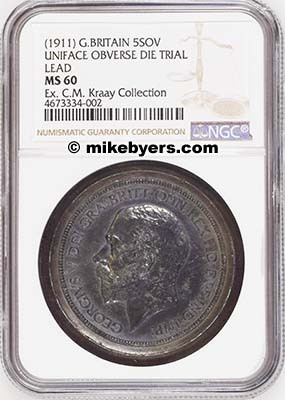 This is the only known 1911 Great Britain 5 Pound Die Trial. 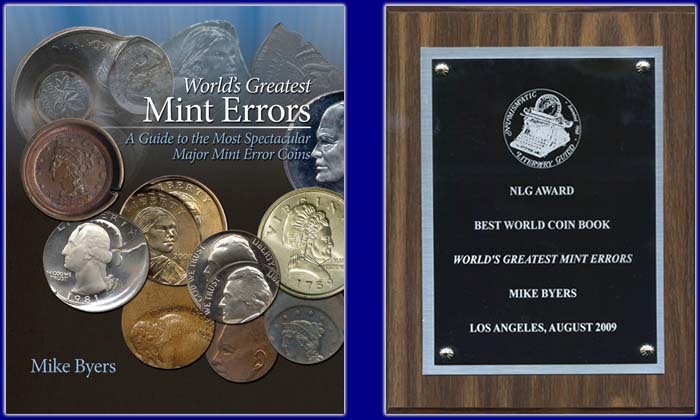 It was struck on March 14, 1911 on an oversized lead planchet with a width of 44.32mm and is 5.69mm thick. It is a uniface die trial of the finished obverse die used strike the 1911 gold 5 Pound in proof. 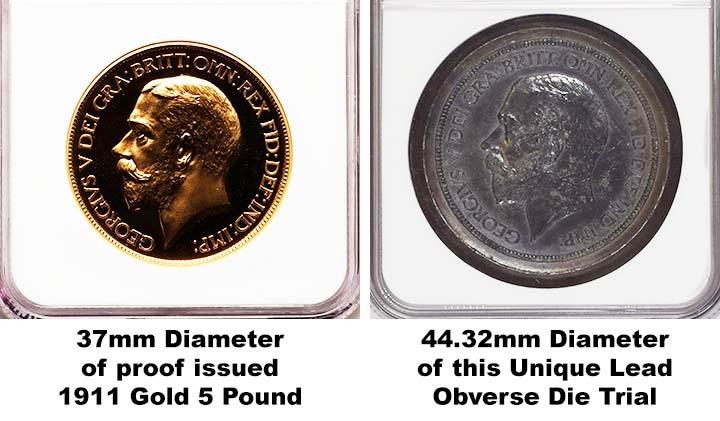 The gold issue in proof, with a low mintage of 2,812 pieces, was struck in 1911 to commemorate the coronation of King George V. The obverse was designed by Bertram MacKennal. 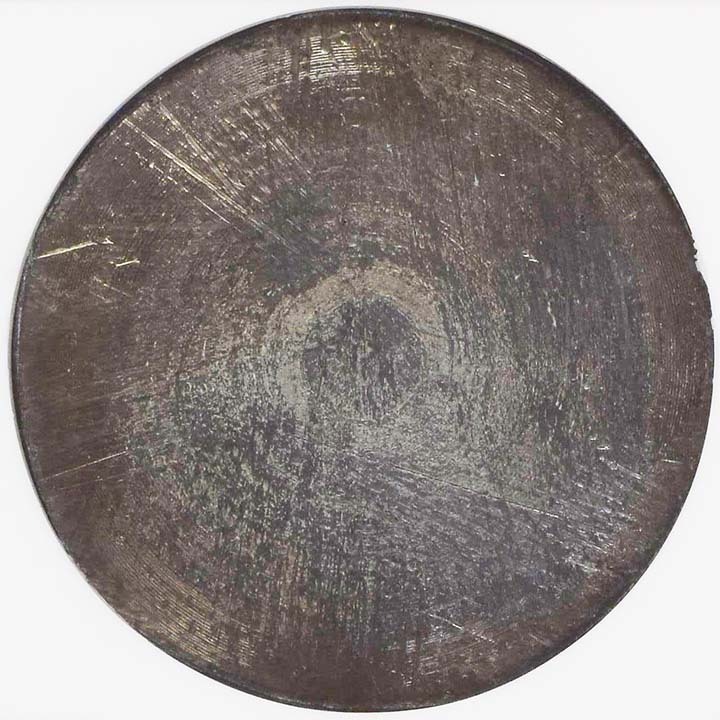 The fineness is .9170, the weight is 39.94 grams and the diameter is 37mm. King George V was from the German Royal House of Saxe-Coburg-Gotha. The British Royal Family changed it's name to the House of Windsor during WWI, making King George V it's first monarch with this title. Discovered in the vaults of Baldwin's, a major London numismatic dealer and auctioneer established in 1872, it was authenticated by The Royal Mint in 1983 after having been stored in the vault for decades. It was subsequently pedigreed to the C.M. Kraay Collection which included unique lead die trials from Great Britain and British colonies. In the Ashmolean Museum, a part of the University of Oxford England, is an exhibit on display loaned from The Royal Mint Museum in London. Included in this display are coinage tools from the reign of King George V, showing the sequence in producing his coinage. 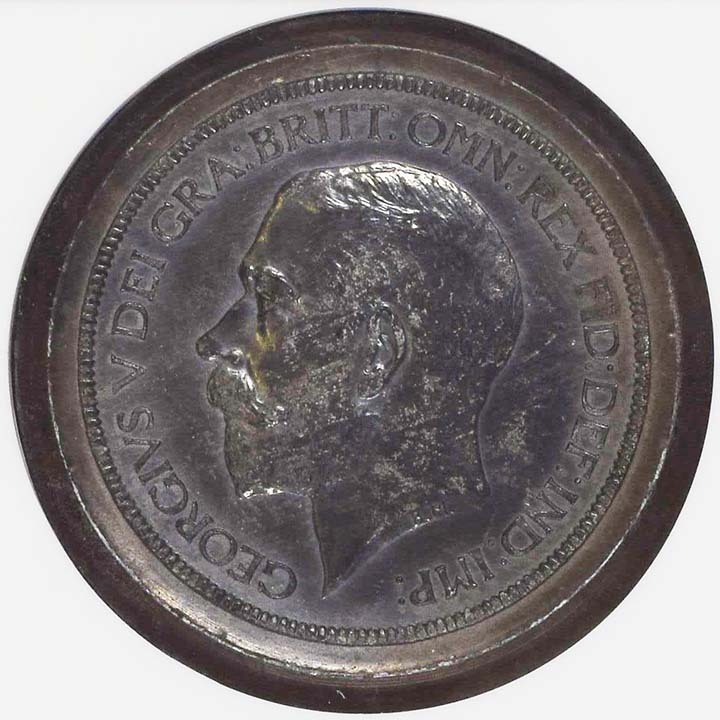 Two of the most fascinating items are plaster models of the final adopted design of the portrait of King George V, which is found on all coinage during his reign. 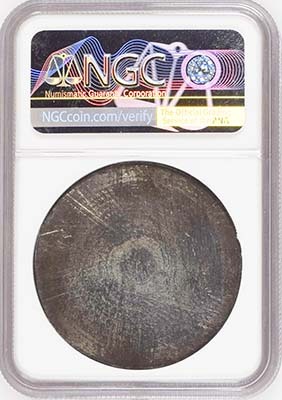 It was recently authenticated and certified by NGC and is considered unique in private hands. It is struck in high relief exhibiting a full strike and detail, which is unusual with lead die trials. 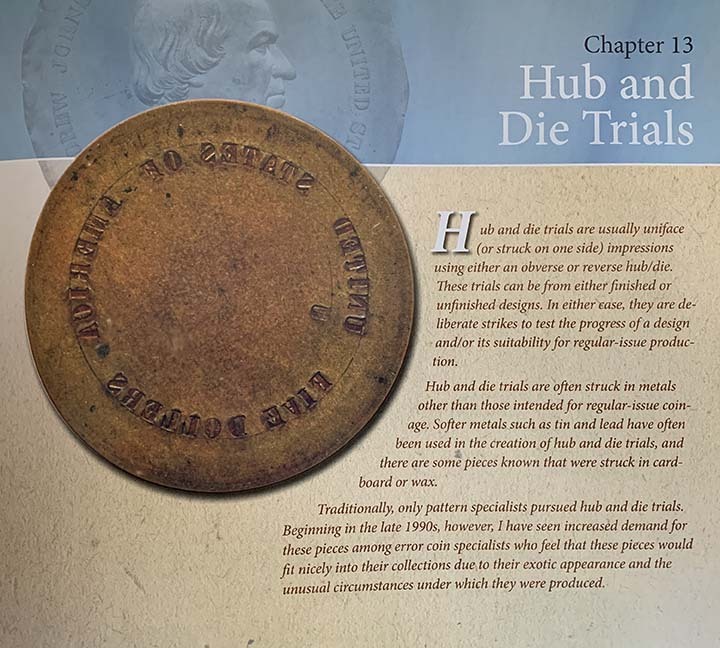 This is a historical and fascinating numismatic rarity from Great Britain's Royal Mint and belongs in a world class collection of coinage or patterns.